Do you think it’s because I gave up on the weeding? That is so not fair! 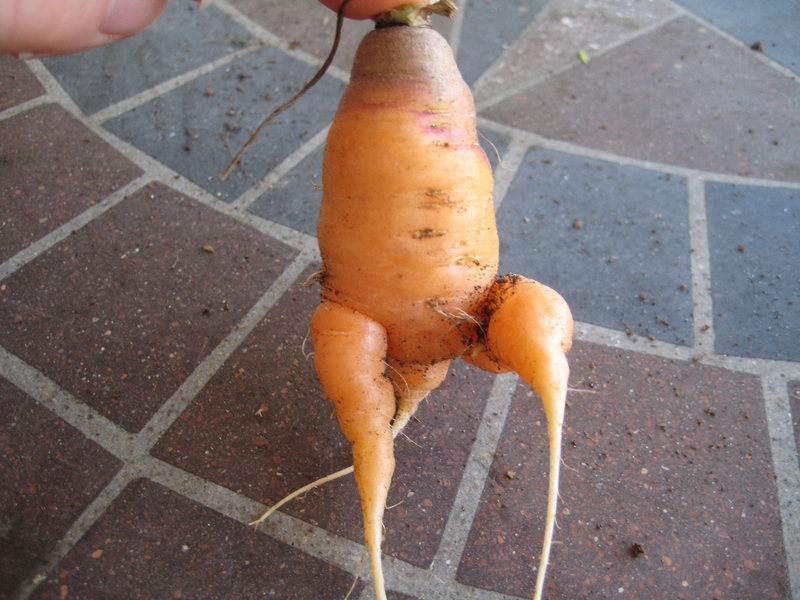 I am so looking forward to pulling some sweet delicious home grown carrots. Nothing like what you grow yourself in the garden. Carrots are great in so many different dishes, enjoy them while you have them. They certainly are fun to look at, and I bet they were delicious. I edited The Vegetable Gardener’s Bible a few years ago; the author recommended loosening the soil as deeply as possible, even moving a top layer out of the way and getting that pitchfork in deeper. 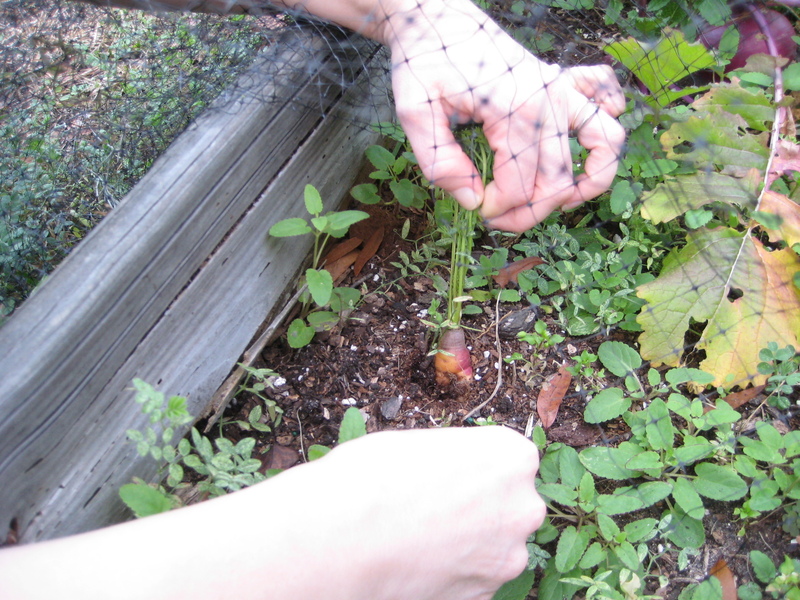 You only do it once, not every year, but it lets the roots of all plants, not just carrots, grow deep into the soil. Hope that helps. I think Rivertree Kitchen has the answer – am also wondering about the thinning process….wish I had home grown carrots from my own garden the ones I’ve been getting from my organic grower are way too big and bitter! I actually complained. The last delivery were moderately better – but he does grow excellent leeks! @ Beth—an impatient child, huh? I was so patient AS A CHILD, I have no idea what happened. 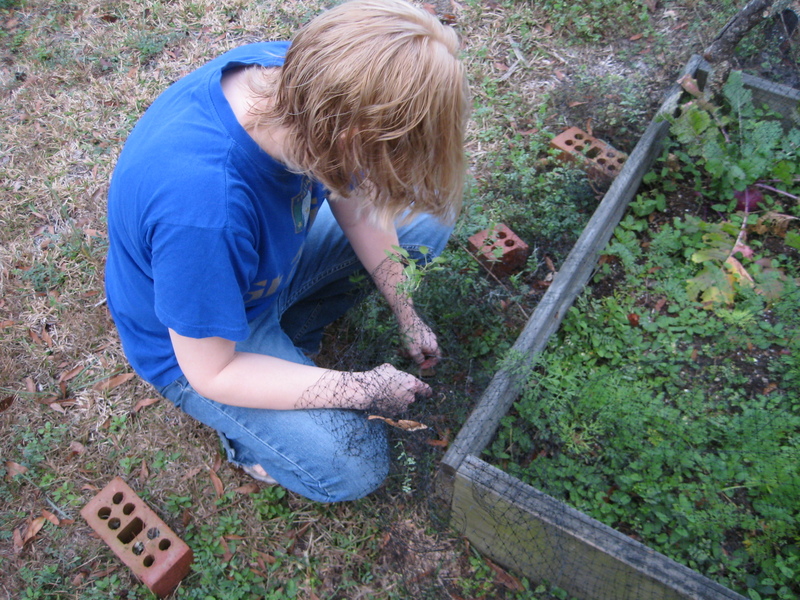 @ Alison–I thought I gave them plenty of room, but I gave up weeding, so maybe they didn’t like that? I think like Rivertree said, they just hit compact dirt, poor things. I’ll take curly and sweet over large and bitter any day! He’s got one on me, though. I have no idea how to grow leeks! @ Rivertree kitchen—that sounds like the problem. I’ll make sure we do that this year! Thanks for the advice! @ Denlyn3–Thank you! I only have 3 left, so I’m rubbing my hands together in anticipation of something good. The last three have to count! @Ed—Are you planting them in the spring or are they just a cold weather plant? I’m looking forward to seeing what you come up with! Don’t do what I did, make sure that dirt isn’t compacted. I don’t want you to have curly cues like me, though they were just as sweet as could be. 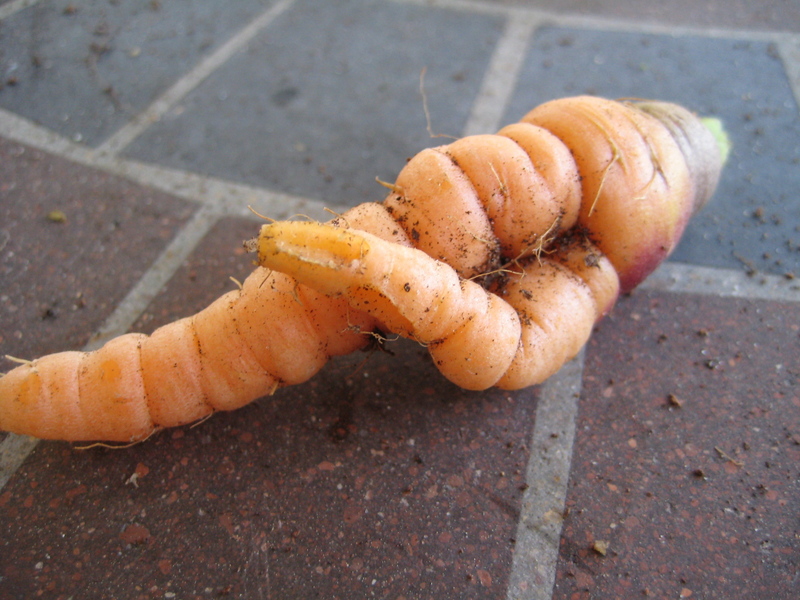 carrots need uniform soil consistency if they must appear consistent…sift compost and dirt in a box or wheel barrow–add one half sand and one half compost..fork it through by hand or any pointy object which will aerate the mix–leave no solid texture like pebbles or clay lumps that would deter the straight growth from its genetic path. 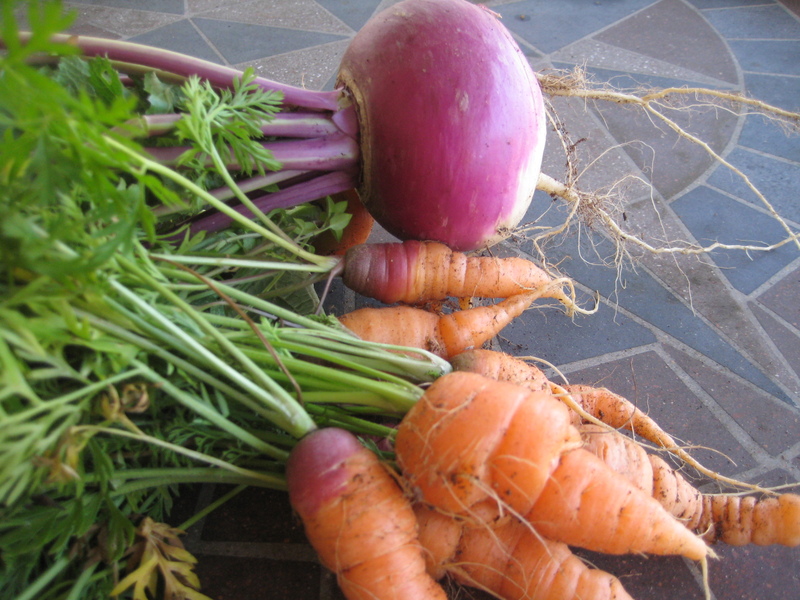 now get in the planter, (don’t step where the roots grow)…sow your newest root veges–radish-turnip-whatever..and leave weeds till baby carrots or radish are well established–pull weeds when soil is wet—space your roots 3-4″ apart at least if you want big ones.–watering is a trick spray lightly in mornings or soak lightly in evenings so as not to compact soil or spread virus/fungi on plants..they like water..every other day or deep water slowly once a week for longer roots. @ Nadine–All right Miss Nadine. I’ll be taking your advice. 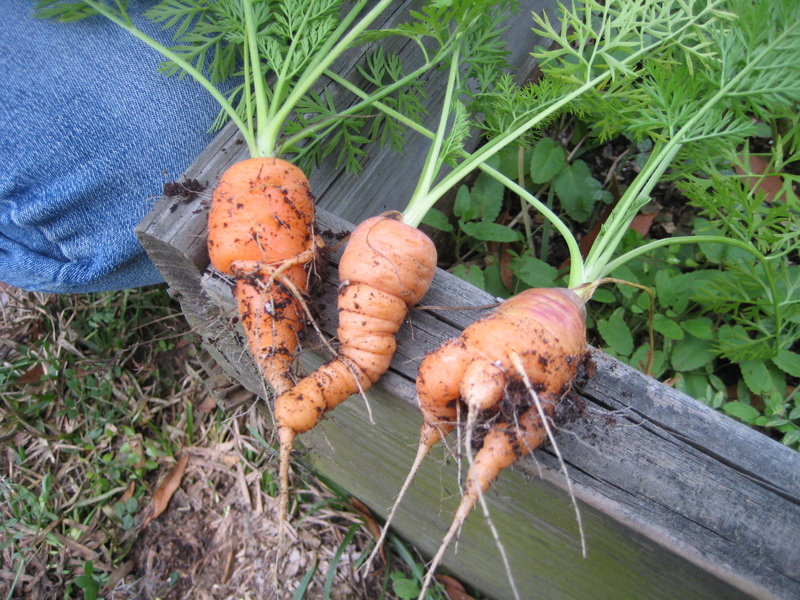 I just planted 12 carrots AGAIN this season. We’ll see how they do…. !